Python’s 2 to 3 transition is years ahead of Angular’s 1 to 2 transition, but the premise is the same - a backwards incompatible break. Well the Python leads did a lot to spackle (BritishEnglish: plaster) over the cracks with some back-ports work, and it is only holdouts left now. 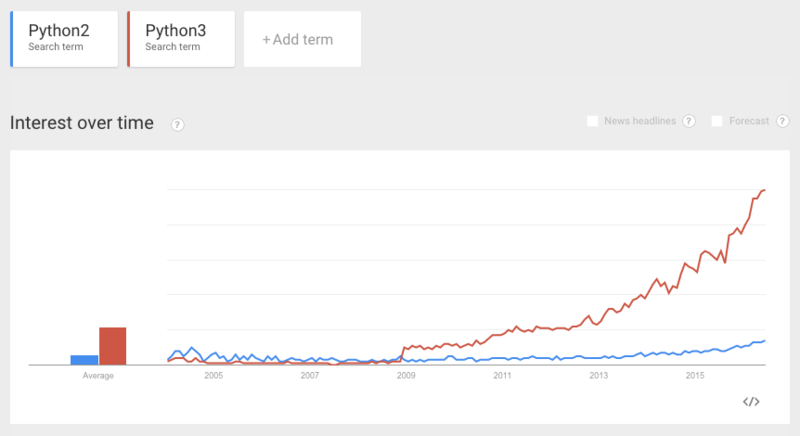 However it is not fun Googling for Python2 know-how today and getting search results for Python3 (or vice versa). 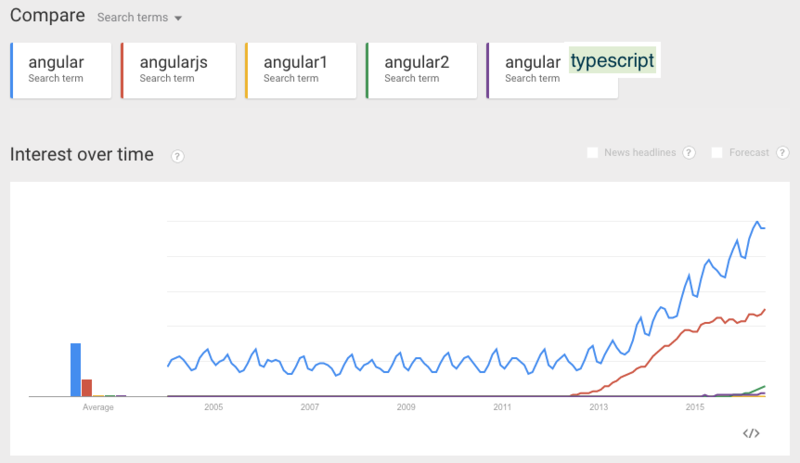 We’re not there yet with Angular, but will be in a year’s time. 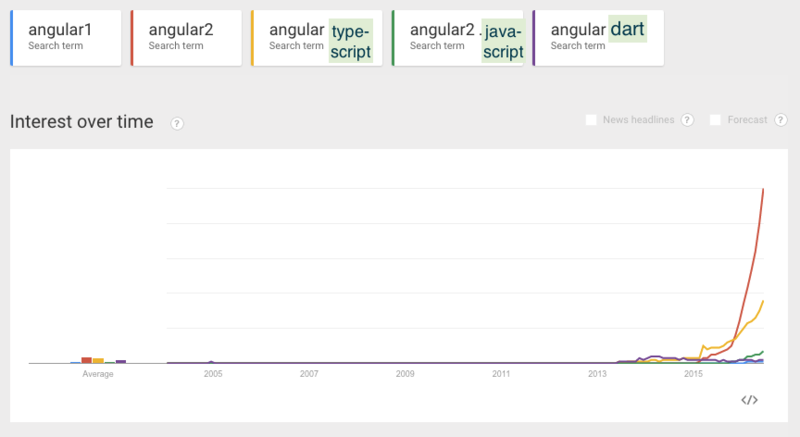 Thus I am interested in seeing how Angular’s search-fu changes over the next few years. I’m hopeful that search technology improves progressively over time to have greater semantic understanding of search intention and matching/mismatching results. The squiggliy blue for Angular shows there are other terms that are nothing to do with AngularJS. Apart from anything else, AngularJS was stealth-launched in 2009 (my first Angular blog entry was 2009, six months after Misko nudged me to look at it), and not prominent until 2011/12. 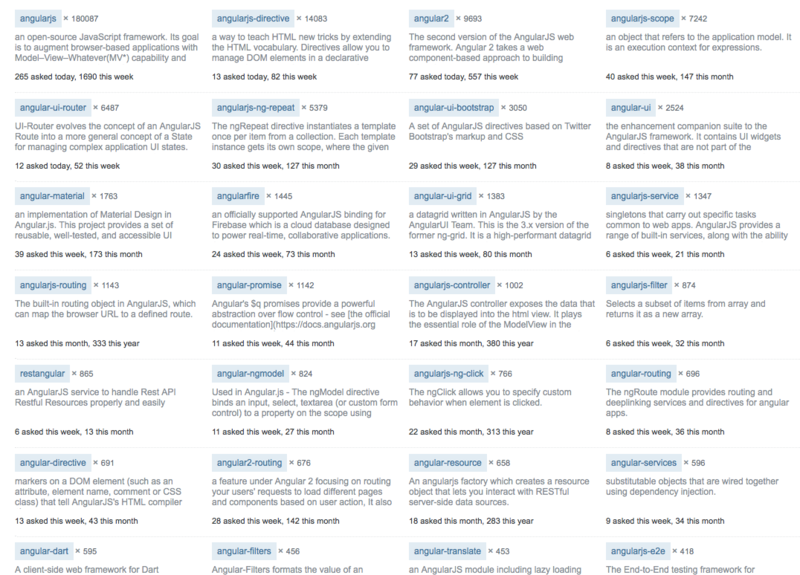 … and adding in some other low-hit angular terms that could be popular in the future. If I was in charge of StackOverflow, I’d unilaterally rename the ‘angularjs’ to ‘angularjs1’ today. I’ll rename my ‘Angular’ tag to ‘Angular1’ where applicable over the weekend. The Angular team reinforces prior decisions - Angular 1.x is to be known as AngularJS and Angular 2+ is just Angular. I’ll redo my tagging AGAIN.